While I understand the concerns of Delegate Hettleman and others, I strongly believe in freedom of speech and would not support this type of legislation on those grounds. I plan to oppose this legislation should it come to the House floor for debate. Similar legislation aimed at the university system came up several years ago, and I opposed anti-BDS then, too. This development is highly significant because Delegate McIntosh chairs the House Appropriations Committee. This is the committee through which pension-related bills must pass. Her opposition to this type of legislation makes the task of anti-BDS proponents significantly more difficult. David Bernstein, the President and CEO of Jewish Council For Public Affairs has penned a new article discussing the role of "intersectionality" in the rising popularity of the BDS movement. This is a remarkable article and you should read the whole thing. But this article is remarkable not for the reason intended by its author. December 14, 2015 -- Freedom2Boycott in Maryland strongly condemns the disturbing incident that occurred at the nearby national headquarters of the Council on Islamic Relations (CAIR) last week. An envelope containing a threatening message reportedly reading “Die a painful death,” along with an unknown white powder, was received in the office. The office was evacuated and some employees were taken to hospital for evaluation. The FBI is reportedly investigating the incident. The Freedom2Boycott in Maryland stands with CAIR and all victims of Islamophobia and racism, particularly at this time when fear and anti-Muslim sentiment are being stoked and manipulated for political gain. Mythbusting: Is Israel the only Democracy in the Middle East? Supporters of Israel often claim that BDS is unjustified because Israel is the Middle East’s only democracy. This particular myth is repeated so often that is has almost become conventional wisdom. A closer look, however, reveals that this claim is neither fair nor true. 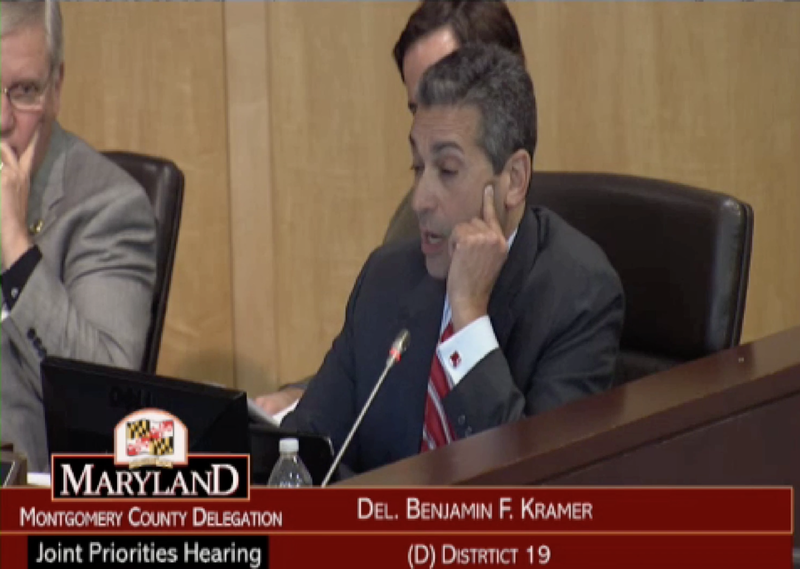 Delegate Kramer, Can We Talk? On November 18th members of the Freedom2Boycott coalition testified before the Montgomery County state delegation against expected legislation penalizing businesses that participate in boycotts of Israel. After our testimony, you began an aggressive line of questioning directed at Whit Athey of Peace Action Montgomery (PAM), while cutting off his response.